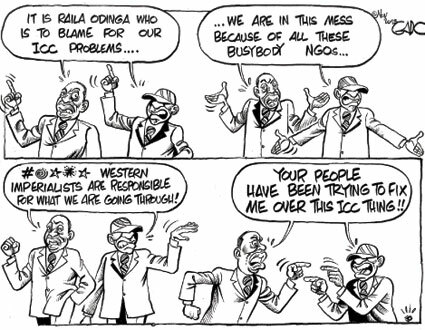 Kenya and the ICC: Coming to a Head? Starting this week, member-states of the International Criminal Court (ICC) will gather in The Hague for the ICC’s yearly Assembly of States Parties (ASP) conference. This meeting of member-states is shaping up to be one of the most contentious – and important – to date. The reason is simple: the ICC cases against Kenyan President Uhuru Kenyatta and Deputy President William Ruto. Last Friday, Kenya, supported by most of the African Union, went to the United Nations Security Council to request a deferral, under Article 16 of the Rome Statute, of the cases against Kenyatta and Ruto. Kenya knew well in advance that a deferral request would fail. 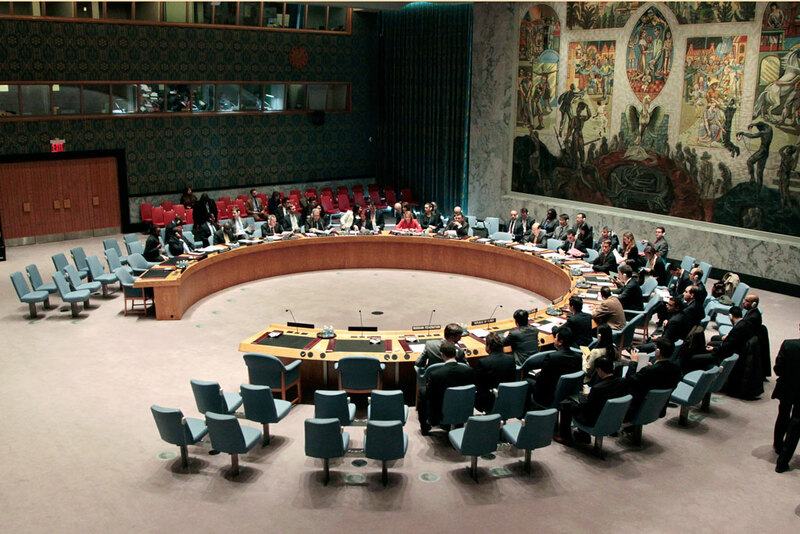 Security Council members had outlined their positions regarding a deferral in the days and weeks prior to the vote. The P3 (the US, France and the UK) as well as ICC member-states sitting on the Security Council stated that the Council was the wrong venue to deal with the Kenya cases. They did not want the question of a deferral to come to a vote and reiterated that they believed that the ASP meetings were the proper venue to discuss and deal with the Kenya cases. Still, Kenya went ahead and certainly made a point in having the deferral request voted upon – and fail. In ensuring that the vote went ahead, Kenya and its African Union partners have transformed what was generally viewed as a battle between themselves and the ICC into a diplomatic row between themselves and ‘Western’ ICC member-states. As an aside, this isn’t a bad thing for the Court. The focus is now squarely on those Security Council states, and especially the P3, who voted not to put a (temporary) halt to the Kenya cases. Amazingly if not surprisingly, the Kenya cases now have almost nothing to do with justice. They long ago seized being an attempt to bring justice to the victims of Kenya’s 2007/08 post-election violence. Instead, the cases have morphed into some quirky combination of a diplomatic circus and fast-paced game of legal one-upmanship. It should be repeated: if Kenya had spent half the time it did on identifying and seeking justice mechanisms to deal with the post-election violence than it did seeking to undermine the Court and get African Union states behind it, we would be in a very different situation. But for the rest of the world, the Kenya cases also represent a potential and looming diplomatic crisis. Even those states who are ICC member-states are scrambling to find a way to bridge their legal obligations stemming from of the Court and their political relationships with Kenyan government. It was telling that not one of the seven ICC member-state that was present on the Security Council for the deferral vote decided to vote against the motion to invoke Article 16. Not wanting to offend Kenya, all abstained. Their vote should be seen as a vote of non-confidence in the motion rather than a vote of confidence in the Court or the Kenya cases. Those states that have sided with Kenya all along were the only clear winners on Friday. Amongst these, China stands out. Not long after being elected President, Kenyatta visited China and was welcomed with all the honours bestowed to a respected head of state. The Chinese government has consistently made it clear that it would support a deferral and the country voted in favour invoking Article 16. It has also used all of the right diplomatic language and niceties in supporting Kenya’s efforts to delay or terminate the cases. The diplomatic message to Western states from Kenya’s side is clear: we can just as easily look East as we can West and we won’t hesitate to do so. Western states, as I have written previously, want to avoid the Kenya cases coming to a head. For all the oft-stated reasons (Kenya as a key player in the fight against terrorism, Kenya as a regional economic and political powerhouse, etc. ), sustaining diplomatic relations with the Kenyan government is a key priority. These states want to avoid the much-dreaded “moment of non-cooperation”, when Kenyatta decides that he will not show up for a trial hearing and the Court, in response, issues a warrant for his arrest. At that point, normal diplomatic relations will become immensely more difficult. To avoid a diplomatic crisis, Western states have consistently stated that the cases should be examined at the ASP conference. At this year’s ASP, Kenya is hoping to see a number of amendments to the Rome Statute adopted. Chief among them is a change to provisions pertaining to whether an accused (and especially a Head of State) is required to be continuously present and his/her trial in The Hague. The problem for Kenya, however, is that even if a sufficient number of ICC states parties agreed to amend the Rome Statute, those changes would only come into effect after one year. Kenyatta’s trial is due to begin in early February, less than three months from now. Consequently, Kenya will also seek amendments to Rule 134 of the ICC’s Rules of Procedure and Evidence. In particular, the ASP will examine proposed amendments to sections pertaining to the ‘presence’ of defendants during their trial. In plain language, proposals will be made to amend this rule in order to: 1) allow a defendant to be ‘present’ during trial via “video technology” and 2) allow a defendant to be personally excused at trial but be ‘present’ during trial via his/her counsel. There is every indication that other member-states, as well as the Obama administration, are inclined to support these amendments. Crucially, and unlike the proposed changes to the Rome Statute itself, if these amendments are passed by a two-thirds majority of states parties at the ASP, they would take effect immediately. An ICC trial by Skype is emerging as a real possibility. Every party involved in the Kenya cases – the ICC, the Kenyan government, Kenyatta and Ruto, the African Union, involved states – has an interest in avoiding an act of non-cooperation by the Kenyan President. What remains unclear is how they will ultimately avoid such a worst-case scenario. Even if Kenya and its supporters get everything they want out of the ASP, questions loom. The ASP faces two key hurdles: first, any amendments have to be consistent with the Rome Statute and, second, any amendment will have to jive with previous Appeal Chamber decisions. In particular, it isn’t clear how the proposed amendments will fit with the Appeal Chamber’s decision which ruled that Ruto had to be continuously present at his trial. At the same time, although much less pressing, there remain questions about the financial and technical feasibility of a trial via video link. Meanwhile, there are reports of emerging tensions between Ruto and Kenyatta (see Gado cartoon above). There are rumours suggesting that Ruto is concerned that he will be thrown under the bus as a scape goat by Kenyatta. This would presumably be the consequence of some deal between concerned states and the ICC wherein Ruto is made to be present continuously in The Hague during his trial while Kenyatta is free to rule the country. For the moment, these are only rumours, but is worthwhile remembering that the Kenyatta-Ruto alliance was a marriage of convenience as well as a response to the ICC. The two were previously adversaries. In the end, ICC member-states face a host of difficult decisions at this year’s ASP. They are in the unenviable position of having to strike a very sensitive balance between their diplomatic relations with Kenya and their commitments to international law. But it is clear that many of them also believe that the very legitimacy and sustainability of the ICC itself is at stake. UPDATE/CORRECTION: Over at Opinio Juris, Kevin Jon Heller notes an amendment to the Rome Statute could actually take much longer than a year: “pursuant to Art. 121(4), non-substantive amendments come into force one year after 7/8 of States Parties have accepted the amendment, not one year after the amendment is approved by the ASP. That could take years.” Kevin also argues that it will be very difficult, if not impossible, for the ASP to redefine ‘presence’ in the ICC’s Rules of Procedure and Evidence. Also, according to reports, nine African Union states will be barred from voting at this year’s ASP as a result of being in arrears to the ICC. This could have a significant impact on the AU’s attempts to pass certain amendments to the Rome Statute as well as to the ICC’s Rules of Evidence and Procedures. It is now being reported that William Ruto will lead Kenya’s delegation at the ASP. And I thought he didn’t like it in The Hague! Hat tip to commenter, OtishOtish. The Prosecution requests Trial Chamber V(A) (“Chamber”) to reconsider and vacate its decision to grant the excusal of the Accused, Mr William Samoei Ruto (“Ruto”) from attending his trial on 21 November 2013. The Prosecution has been informed that Ruto is set to lead the Kenyan delegation to the Assembly of States Parties (“ASP) Twelfth Session, which commences on 20 November 2013 in The Hague. The Prosecution notes that Ruto’s excusal request was premised on the fact that he would be constitutionally required to be present in Kenya until 21 November, due to the absence of Kenya’s President, Mr Uhuru Kenyatta (“Kenyatta”), during that time. Considering Ruto’s imminent attendance at the ASP Session in The Hague, the Prosecution submits that the underlying rationale for the request for excusal is no longer valid: either Kenyatta will return to Kenya before 20 November 2013, making Ruto available to appear at trial on 21 November, or alternatively Ruto’s presence in Kenya is not in fact indispensable, notwithstanding Kenyatta’s absence. This entry was posted in African Union (AU), Article 16, Assembly of States Parties, Kenya, Kenya and the ICC, UN Security Council. Bookmark the permalink. 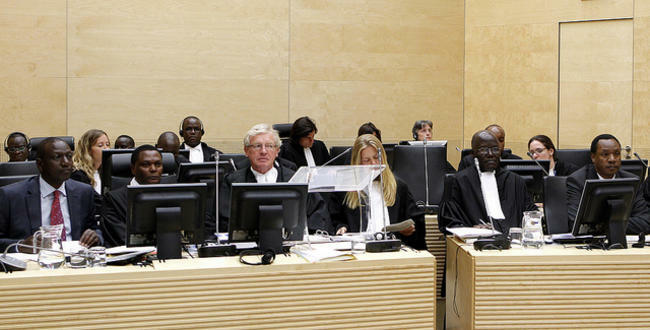 7 Responses to Kenya and the ICC: Coming to a Head? Saturday, 13.00-15.00 hours, will deal EXACTLY with this very issue. You will then be able to witness Kenya’s attorney general Githu Muigai at his clowniest incarnation then. Clowny however only as in Steven King’s “It”. Nuff said ? In any politically vibrant democracy, rumours initiated by local opposition, those with self serving motives and possibly foreign state actors, are bound to just as quickly emerge and die a natural death. Any credible mechanisms of providing justice to Kenya’s Post Election victims required a solid foundation anchored in the form of a new constitution. These were not processes that would have taken place overnight, more so when they were subject to democratic process in the form of a referendum. On or about November 26, 2009, ICC Prosecutor Moreno Ocampo, proprio motu sought to initiate investigation of the Kenya cases at the ICC. On December 15, 2010, Ocampo issued summons for 6 Kenyans in connection with his investigation.Public review of the draft Kenya constitution started on November 17, 2009. The proposed constitution was officially published on May 6, 2010 and approved by 67% of the electorate on August 4 2010 and formally promulgated on August 27 2010. The formation and implementation of a truly reformed and independent judiciary founded on the new constitution would then commence. A new Chief Justice was competitively selected from 10 short listed applicants in May 2011 and sworn into office in June 2011. As selection of new Judicial officers was ongoing by Kenya’s Judicial Service Commission, the Judges and Magistrates Vetting Board, subject to due process, would investigate and recommend for removal incompetent, corrupt and non-performing judges from the judiciary by mid 2012, vetting exercises continue to be undertaken to the present. ICC VP, Judge Sanji Monageng (for one of the court’s Working Groups) has already signaled, to the ASP Working Group on Amendments, that there are serious issues in that regard, pretty much along the lines indicated by Kevin. It is increasingly likely that the matter could be shelved for further discussion, i.e. after the ASP session. This session of the ASP will not formally consider any amendments to the Rome Statute; so there are no issues about voting on such. Kenya will get next to nothing from this session of the ASP. Uhuru simply has to man-up and decide whether he will show up for his trial or do a runner. A truly bizarre and cheeky move that only the government of Kenya is capable of: Ruto is to lead the Kenyan delegation to this session of the Assembly of States parties! The hasty attempts to tinker with Rule 134 (or add a Rule 134bis) stands in sharp contrast with the lengthy consultative process that went into proposals to amend Rules 68 and 100. The Working Group on Amendments has now recommended that the ASP adopt those. Given that, Judge Song’s remarks this afternoon should be noted carefully. I suspect they are probably too subtle for those in the Kenyan delegation, but other states appear to be represented by more capable delegates who will no doubt see the point. “Any amendment of the legal framework of the Rome Statute system needs to be well thought through and should not be undertaken with undue haste. I therefore note with appreciation the inclusive consultation process which has been followed regarding the proposals for amendment of Rules 68 and 100 of the Rules of Procedure and Evidence, which will be before this Assembly for consideration and possible adoption. These initiatives reflect our common efforts to explore and implement practical ways of improving the efficiency of our proceedings while protecting the rights of all participants.